To get an admission in one of the top foreign university is like dream coming true for any student. However, there are many milestones that need to be conquered before the final process of admission starts. Now-a-days most of the overseas universities have made it compulsory to appear for Graduate Record Exam and mention the scores while applying for the admission. It is really important to understand and prepare for GRE. Graduate Record Exam or GRE is to measure verbal and quantitative reasoning, analytical and critical thinking of the candidates aspiring to take admissions in top universities in The United States of America. It is a computer based exam and the candidate gets score or rating on the basis of the attempted exam. Each collage or school has different weightage assigned to GRE scores, so it becomes really important to check with the Admission in-charge for correct details. The exam is divided into two sections- General exam and Subject specific exam and each section is further divided into sub sections. Let us take a look in detail on the main and sub sections on which the examination paper is based. This section is basically to gauge verbal, analytical and quantitative knowledge of the student who is planning to take admission. Each of these gauging platforms has a set number of questions which are to be answer in the mentioned time period. Verbal- A set of two papers to check on the skills related to reading, comprehension, grammar and vocabulary. Time allotted to each paper is 30 minutes. Analytical Writing- This paper is further divided into two sections. First section would be based on your view about a particular situation or topic and what all supportive statements could be provided. In the second section the candidate is asked to review an argument and explain it in their own words. Quantitative Skills- No mathematics expert skills are required to clear this section. It is a basic test to check the students understanding of basic of numeric, algebra, geometry and data analysis. After a long debate, use of calculator was permitted during the exam. Subject Based Exam – Other than general exam, subject based test are also being conducted in order to take admission into a specific course like Biotechnology, Cell and Molecular Biology etc. Good planning followed by good preparation and proper execution holds the key to one’s success. 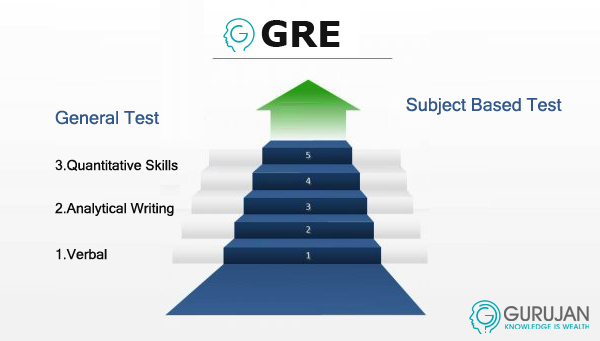 Once you have decided to appear for GRE it is time to start preparing for the exam. Sooner you start the preparations the chances of getting a higher score are bright. Planning is everything when it comes to be successful in GRE and today there are numerous coaching institutes, tutoring classes, online study material, practice test and preparation books available in the market. Do reality checks on the claims made by the coaching institutions about their success rate Most of the institutions conduct mock sessions; attend these sessions to get to the depth of the claims. Once you have done your homework it is time to decide when and where you want to start your preparation. Another very important planning is which session you wish to join i.e. Fall or Spring as this would decide which exam you would be appearing for. After taking the vital decisions such as which session you wish to take admission into, where to take coaching from etc. the time is to start preparing. There is no specific time limit to prepare for the exam; it may take 12 months to 15 odd months for students based on their learning skills. Over the years it has become evident that mantra of success in GRE is “Practice makes a man perfect.” Start preparing well in time, use preparatory books, online test papers to get a feel of the exam pattern and get used to it. Few of the books to start with are Norman Lewis and Rosenblum, American Edu aids book etc. However the study should be kept limited to the materials provided in these books, keep checking internet for latest practice papers, mock assessments etc. Everything would go for a toss if you are unable to give your best at the right time. So use all your learning and practice to attempt GRE to get a higher score.